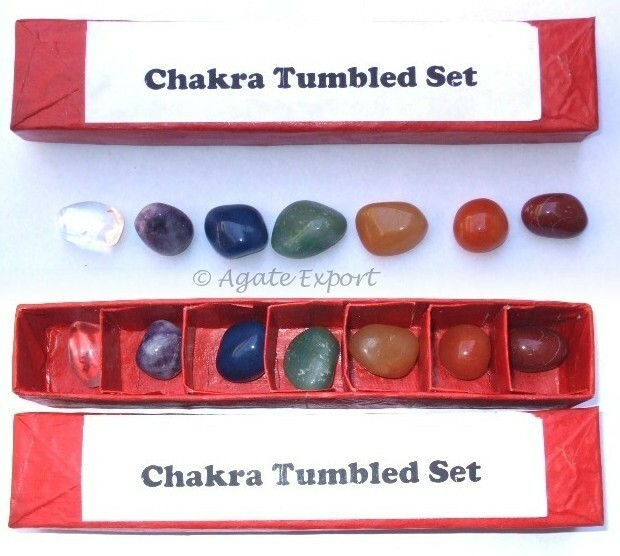 Seven Chakra Tumbled Stone Set. 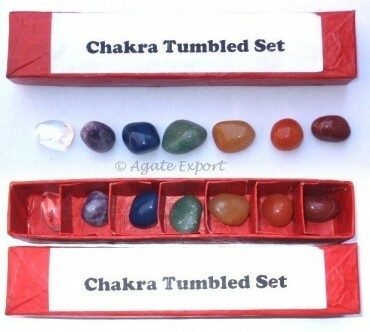 Seven Chakra Tumbled Stones Set by Agate Export can be bought at a fair price. Set includes seven chakra stones. Each stone corresponds to one of the seven Human Chakras. The stones help to awaken these chakras to ensure free flow of energy. Chakra Disc Set For Balancing.